Like Life, Frequent Flyer Miles Have an Expiration Date. This idea for this trip also came about because I inherited 400,000 frequent flyer miles when my husband, Marcus Iken, passed away in 2009. I had been saving those miles for this big undertaking — and god knows, I’ve been talking about it for years now — but the thought of how much energy (and money) it would take made just want to stay in bed! There were questions and fears keeping me awake at night: where would I go, how would I navigate new cities, would I be lonely, would I be able to sustain the pace of intercontinental travel? Plus, I hated the idea of leaving my dog, Jack, for three months — I can barely be apart from him for three hours — especially after losing my other dog, Daisy, so tragically in November. But those miles I’ve been saving for the past five years were about to expire and the airlines, like life, offer no grace period or extension. I’ve been spending the past few months resting up (as it turns out). And Jack has an ideal place to stay — he is going to “summer camp” on a friend’s farm in Iowa. Life is short. I am facing my fears. It’s time to head out into the big, beautiful, crazy, chaotic world and get busy. I’m setting forth in June. And I will be sharing the journey with you as I go. Go West, Young Man. And then keep going. My route starts from Los Angeles, surely with a tearful goodbye to my parents. (I will have already bawled my eyes out saying goodbye to Jack.) I head west, and will keep going until I come full circle. I don’t have every minute planned out, but here are some of my goals with lots of leeway for the inevitable developments along the way. Please feel free to contribute suggestions and contacts! For my first leg, I fly to Auckland, New Zealand, to meet my Facebook friend, Grace Bower, in person. A knitter of prayer shawls and supporter of authors, her generosity embodies the spirit of pie. Grace symbolizes how this trip is more about connecting with people than collecting trophy destinations or checking places off a bucket list. We are going to make pies and bring them to the library for a gathering of locals. And I know Grace is already busy organizing (or organising, as they say in NZ) more activities. Even if I never went anywhere besides NZ, this stop alone would make the mission complete. But….it’s a big world out there. So I will keep going. In Sydney, Australia, I will reconnect with my Aussie friend, investment banker and athlete, Kate, and another friend, Foong, who I know from living in Germany back in 2003 (we met in Intermediate German class.) Foong, who is Malaysian, married to a German, and living in Australia, is a true Global Citizen. Instead of making pie, I could just write a biography about her and call it “World Piece.” On June 18, I will be speaking to the Sydney Women’s International Club, giving them a pie demo and serving homemade pie. From Australia I go to Bangkok, Thailand. I spent three months traveling around Thailand when I was 22. This time I’m not going as a backpacker; I’m going as….as an adult. What happened? How did 30 years go by so fast? I will be staying with a dear friend in Bangkok who is a rock star hotel marketing exec. I will be teaching a pie class on June 30 at the swanky Pacific City Club. To balance that out, I am hoping to teach a pie class to a community of underprivileged youth, provided we can find oven space. I was just reminded that there is no baking in Thai cuisine — i.e. : no ovens. But that’s exactly the thing that will make this such an adventure! But one of the craziest things happening on this trip (so far) is that on July 2, I will be recreating my Pitchfork Pie Stand for the American Embassy’s Fourth of July party. They are expecting 1,200 guests. That’s going to be a lot of pie. I’ve always wanted to go to India but didn’t think I could handle the…shall we say, overstimulation. I definitely didn’t want to go alone. But pie has a way of making me do things I wouldn’t normally do. Pie makes a good traveling companion and instills a kind of courage that comforts and assures me that everything will be okay. So I’m landing in Mumbai (at night) and…well, I have no idea of where I’m staying yet. But in the meantime I have found a few key contacts there, including food blogger Deepa Krishnan who promises to introduce me to the local version of pie (samosas, for one). And in return, I will give her — along with her mother and her daughter — a pie lesson. That’s three generations of Indian women. From India, I fly to Beirut, Lebanon, with a five-hour stopover in Cairo. Because the round-the-world ticket only allows so many stopovers I won’t get to explore Egypt, the birthplace of pie, or see the pyramids (unless they are visible from the plane), but at least my feet will get to touch that red, electrified, ancient African soil — the cradle of mankind where all this madness started. 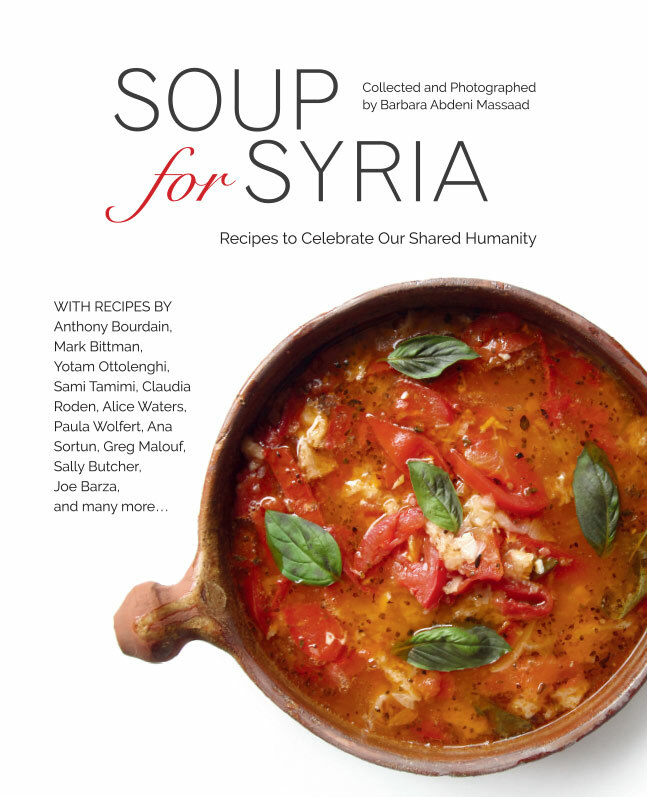 In Beirut, I will spend 10 days with cookbook author, photographer, and social activist, Barbara Massaad. She was one of the original anchors to this trip and while it is tricky to get to Lebanon — and the US suggests avoiding it — this stop underscores everything about my mission as it’s all about using pie to spread goodwill and promote peace. Then it’s on to Athens, Greece, where I will track down the first-ever recorded pie recipe, which was written on a stone table. Even if it is only a myth, it will be fun searching for it — and eating spinach and goat cheese pie along the way. I will do this with the help of cookbook author and TV host, Georgia Kofinas. I am also going to try to squeeze in a visit to an old flour mill called Myelelia Water Mill, where they make small batches of pasta, and visit the pastry shop next door to get a lesson in making Greek-style pie with phyllo dough and olives. From Greece, I will go to Germany, using it as a base so I can travel around “The Continent” during the month of August, taste-testing as many pie-like pastries as possible. I hope to teach a pie class in the German Black Forest village where Marcus and I got married. I’m pretty sure the priest and his family are still there at that 1,000 year-old cathedral. And I’m sure they would love some American apple pie. I will be stopping in Bern, Switzerland to share pie with a Swiss family I met on my very first trip to Europe back in 1984. I have been invited to Budapest, Hungary to teach a pie class in the bed & breakfast of an old family friend from Iowa. (The world gets very small sometimes!) I hope to go shoe shopping pie tasting in Italy. And, saving the hardest thing for last, I will culminate my journey with a visit to Marcus’s grave outside of Stuttgart, as a way to say thank you for making this experience possible. Yeah, that’s definitely going to be hard. And finally, at the end of August, I will fly back to the USA. My hope is to return invigorated and not depleted, to have gained new friends but not too much weight, and to turn all this into a book that will inspire others to embrace their neighbors and make the world — starting with their own little corner of the planet — a better place. There are so many more places I would like to go, but I hope this will be a good representation. I have already taught pie making to many walks of life in many parts of the world: to a group of businesspeople in Tokyo, Japan; to a TV producer and her young son in London, England; to my Mexican neighbors in Saltillo, Mexico; to school kids in a South African township; and, of course, all over the USA. I figure this itinerary (which is now unchangeable except for the dates) is a good start. And maybe after the three-month trip is over, I will keep going. South America, West Africa, China, Russia, Mongolia, Philippines, the wish list is long! This is what pie-making enthusiasm looks like. In South Africa. 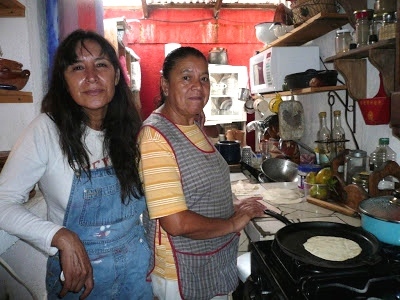 Learning to make tortillas in Mexico. Muy delicioso! 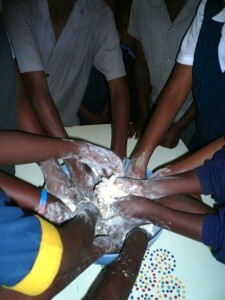 Read my blog post about the class I taught to kids in a South African township. Imagine how many more stories like this are out there waiting to be told. I can already see the smiles and hear the laughter. Pie knows no language barriers. But “World Piece” isn’t just about teaching; it’s about learning. Here’s an example of the cultural exchange I had in Mexico, learning how to make tortillas — and eat hot sauce without damaging my mouth. You can be part of the journey too. When you give of yourself to make others happy, it in turn makes you happy. Pie is an ideal vehicle for spreading that happiness. Donations for Ingredients (flour, butter, apples, sugar, cinnamon) — I will be buying them locally in each place. Your support will make it possible for more people to participate. Donations for Pie Supplies — I won’t be able to haul a bunch of rolling pins and bowls around the world, so I plan to collect the necessary supplies at each destination and then leave them behind so the community can keep using them. If you are in one of my destinations, I could use your help physically getting these. If you want to contribute funds to help buy supplies, that would be good too. Sponsor a Pie for $5 — Whether you pitch in for one pie or 20 pies, any funds will go toward pie ingredients for pies we give away. And if you know me, then you know how much I like to give pie away. Pie is meant to be shared! Free slices for all! Sponsor a Pie Student for $5 — My goal is to bring pie-making to people who may not have the means to buy the ingredients, young and old alike. I’m currently looking for food sponsors, like local grocery store chains in each destination, but your support will help too. 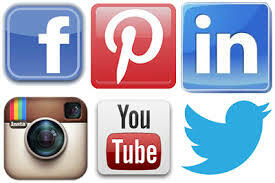 Here’s where to find me on social media. Come along for the ride! Pie was created long before America was discovered. Its origins date back to Egypt during Roman times when crust was used to preserve and transport meat. The first known recorded pie recipe was in Greece, a cheese and honey pie. Pie is defined as anything held in a crust. Some kind of pie can be found in virtually every country, many are savory and small like meat pies in Australia, pasties in England, calzone in Italy, empanadas in Mexico, samosas in India. In Bulgaria, there is a patron saint of pie. His name was Saint Ivan of Rila who gave pies to the poor. Every August and October at the Rila Monastery there is a festival to commemorate his good deeds. AND THEN THIS HAPPENED AFTER THE TRIP…..
SOUP FOR SYRIA cookbook author/photographer, Barbara Massaad, from Beirut, Lebanon visited us in Iowa for a week. During Beth’s World Piece tour, she stayed with Barbara for 10 days, when they delivered a dozen homemade pies to Lebanon’s Bekaa Valley Syrian refugee camp. Beth returned the hospitality, American-style, and the two of them teamed up for several events, including a Soup & Pie Supper. The local paper even did a nice review of it. We hope the event inspires others to host their own soup & pie suppers in their communities to raise money and awareness for helping refugees or others in need.